Go "Like" Hungry Nation on Facebook! Order $14 paperback on sale at PayPal with Greg Nichols directly for a signed copy! Hungry Nation is here, available at Amazon.com. Also take advantage of a sale directly from the author. This makes a great gift, especially to your flag waving older Americans who love to read. This is a Christian based fictional intrigue and thriller novel, revealing angels, demons and evil's bid to takeover America. A showdown between anointed and Holy Spirit filled believers and the wicked rulers running America is coming. Those who have picked up this book have not been able to put it down! Order at PayPal with Greg Nichols directly for a signed copy! Order it in paperback or hardback at Amazon.com! Order it in paperback or hardback at Barnes and Noble! Order in Kindle Digital Version ($9.99) at Amazon.com! Bulk orders of Hungry Nation here with Outskirts Press! 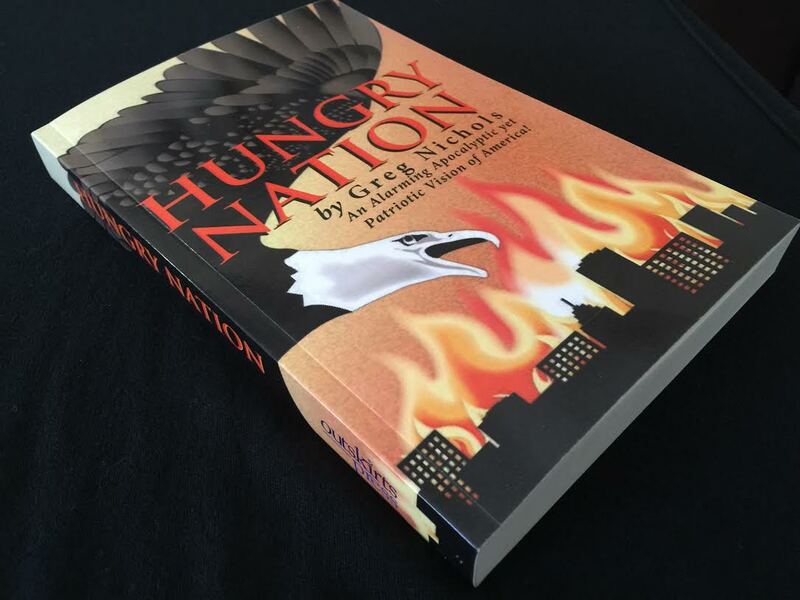 Order an e-book PDF copy of Hungry Nation for $5.95! Special large orders, customer service contact information is at bottom of this page! Order this action packed thriller today, with its twists and turns, and amazing insights about America, as our founding fathers desired it to be, and as it is now. See Heavenly and hellish beings revealed in this story of fiction, based on our realities, and good against evil. A small band of freedom lovers including a man of God and 3 ex-Navy Seals come against great odds in a fight for their very lives. This novel is hard to put down, but when you do, you will understand and appreciate America in a whole new way. 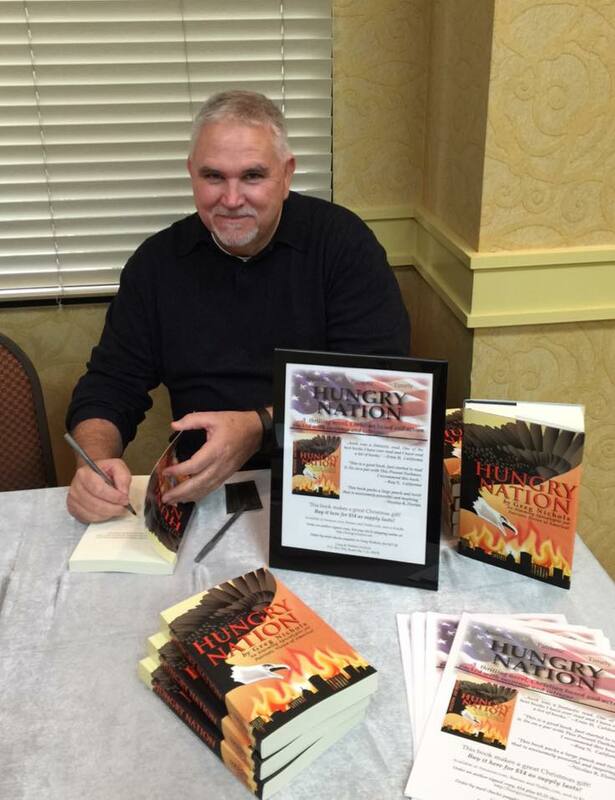 I wrote Hungry Nation for many reasons, but the main reason is that I desire to see Americans have more interest in their country, government and politics, and the principles and concepts that this great nation was founded upon. I am a fan of George Orwell and his two famous novels, 1984 and Animal Farm. My goal was to use this novel, Hungry Nation, to reveal to this generation how America could quite easily slip into socialism and totalitarianism if its people don’t become aware of what is going on in America; if they have no knowledge of past history in other nations and the mistakes made by those of the past. Many current teen action novels, and the movies adapted from them, use backdrops of police states and regimes, and the young heroes and heroines must overcome great odds under huge oppression. But it may be that those movie watchers and novel fans say, "Not here, not my country, not in America." My intent with Hungry Nation is to show that this could in fact easily happen in America. Through the liberal mindset, many foundations have already been laid in place and unexpected and terrible things could happen very suddenly. The result would be that our old beloved America would be gone forever! We cannot let that happen! Follow our main character Justin Brooks on a adventurous path in this novel to greater awareness and then get involved so we can stay a free nation! This novel reveals deep secrets of the spiritual realm and weaves them into a tapestry of drama and intrigue with lovable characters. Angels and demons are revealed like you have never been shown before, as well as God's heart for America. Reading this novel is a learning experience and a great thrill ride too. Go "Like" our Facebook page and subscribe to our blog, so as to be sure to get an announcement, and to get powerful blog writings from Greg. Greg has the prequel to Hungry Nation, to be released soon. The novel is called, An American Millennium: Common Sense, and it relays many political events of the time around 1998-99, along with a very intriguing story about the characters of the Hungry Nation novel. Thomas Paine fans will love this novel, and it reveals the deep thinking and revolutionary ideas of that founding patriot of America. Justin Brooks is 13 years younger in this novel. Then, very soon, the sequel to Hungry Nation will be released, picking up the events in time right after the events of Hungry Nation, continuing the life of Justin Brooks and his Navy Seals, Duffy French, and many new twists and turns. The sequel is titled, 2030 A.D.! Read our blog about Hungry Nation! "Like" Hungry Nation's Fan Page on Facebook! 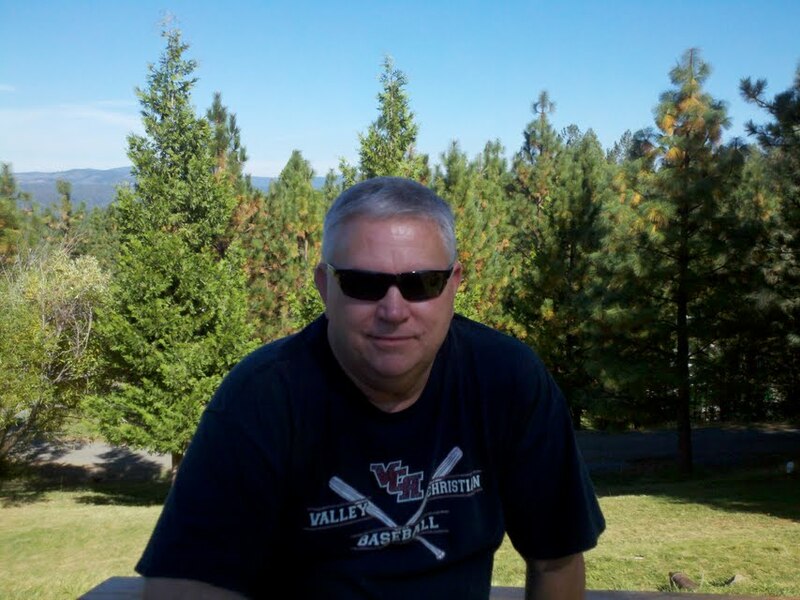 "Like" the Author, Greg Nichols on Facebook! 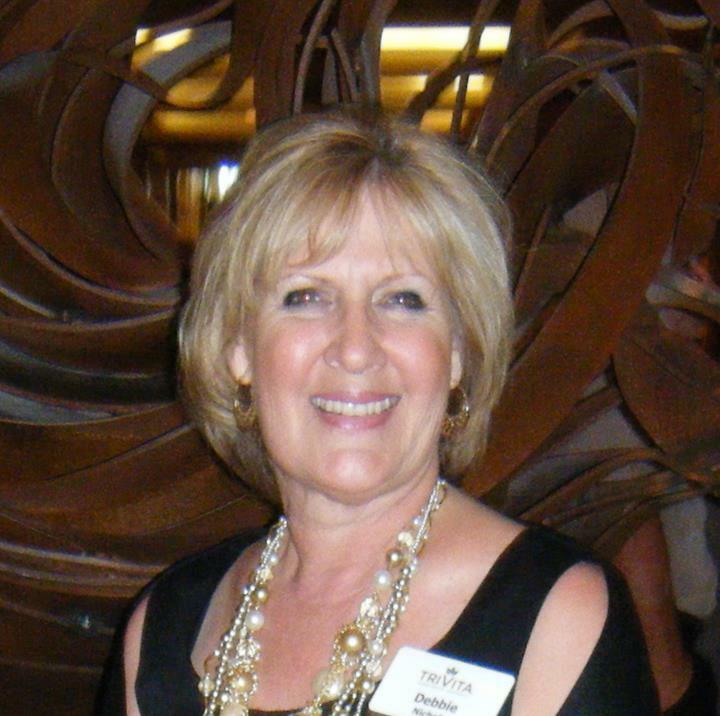 See other works and teachings by the author at White Fields Ministries. Special Note to Website Visitors: The author does not support violence against government. The teachings of Christ and Paul were using warfare against spiritual darkness, and obeying the laws of Caesar, even when Rome was oppressive and Jesus or Paul disagreed with them. The message of this fiction novel is warring in the heavenlies against God's enemies and open rebellion with violence is something the main character of the novel is highly opposed to. The author is against socialism and gun control, and government control and oppression, but those problems are solved by peaceful means such as voting and congressional acts through representative government. Our founding fathers gave us every means to peacefully replace bad government, and that must be encouraged in America.